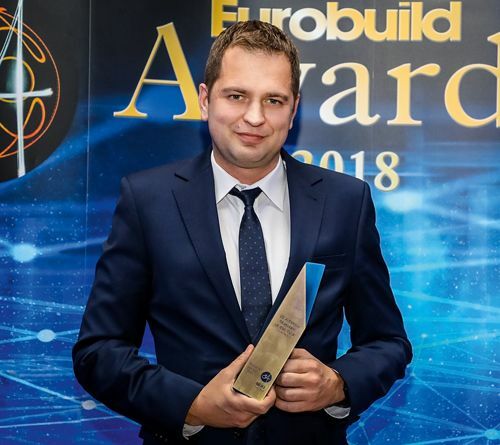 Piotr Krystosiak, Segro’s property manager responsible for the management of three parks in Warsaw, was bestowed with the title of Polish Warehouse Manager of the Year at the Eurobuild Awards. How does he account for his and the firm’s success? Was this award a surprise for you? Such a distinction is always a very pleasant surprise, especially when it is decided by your clients. This year’s award was all the more surprising because it was presented to a Segro property manager for the second year in a row, having been awarded to Cezary Pawłowski in 2017. These awards show that after years of work, Segro has earned its clients’ trust not only by providing high-quality modern warehouse space but first of all through our openness to clients’ needs. I celebrated at the reception after the gala in the company of associates and our clients. There were also opportunities to celebrate the award with the whole Segro team in the days that followed. What was the most difficult challenge you had to face last year? 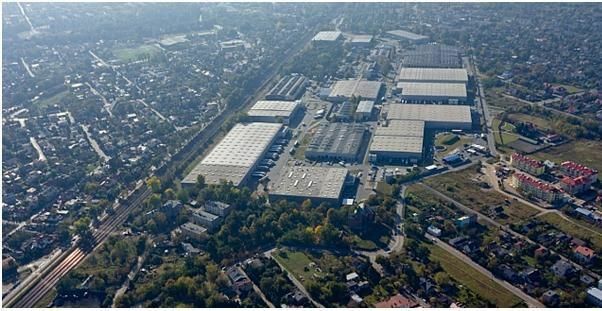 I think that it was what we did to integrate our recently purchased Segro Business Park Warsaw, Okęcie complex into our systems and standards. Even without the heavy work load that we had at the time, this would certainly not have been a straightforward task. However, with the dedication and involvement of the entire Segro team, we managed to integrate it smoothly. What are the main pros and cons of working as a warehouse manager? The best thing about this type of work is the diversification of space for the very different operations of our clients. Each sector has its own specifics that require a different approach and this creates many challenges for us that add to our experience. The biggest challenge for me is the onset of winter weather – with logistics parks it’s extremely important to make the right decision about when to remove snow from roofs. Another big challenge is ensuring that the roads are safe during the the day by clearing the snow and de-icing them. What do you plan to change or improve over the next year? I believe that building partnerships and long-term relationships with clients is the most important job and this always pays off eventually. Therefore, I want to continue focusing on this. Furthermore, it’s important to introduce new systems that have a improve the operations of our parks and optimise our operating costs. What is it about being a property manager that gives you with the most satisfaction? In my opinion, it’s definitely the contact I have with our clients. As long as the relationship between the owner/manager and the client remains good, such contact is always a pleasure where we both show each other mutual respect. Moreover, unusual problems that are always very different continually arise in this profession, so solving them requires a lot of experience but also gives a great deal of personal satisfaction. You have been working for Segro for five years. What’s the most valuable lesson you have learned in this time? I consider the way we work with our clients to be the most precious lesson. Our open, partnership-style approach enables us to solve the most difficult problems while keeping both parties happy. It has also been my great pleasure to work with a very professional and experienced team. With our commitment and full dedication, each of us can draw from the experience gained over the years by every member of the team.